Varies; wavy, silky, medium-long in length. Created by happy accident in 1996, the Cavachon is a cross between the Cavalier King Charles Spaniel and the Bichon Frise. The sweet, calm King Charles crossed with the people-loving, affectionate Bichon results in an adorable, friendly lap dog. 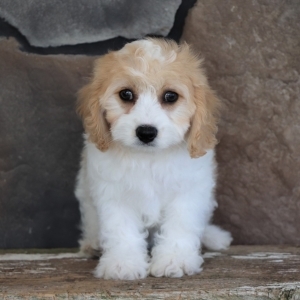 Cavachons have large, warm “puppy dog” eyes, long floppy ears and a silky coat. The Bichon side of this designer breed brings lower-shed fur, which makes it a popular option for those with allergies. 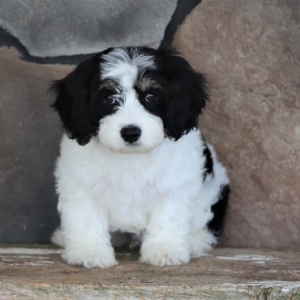 Cavachons are wonderful, easy-going family dogs and do well in apartments as well as larger homes. 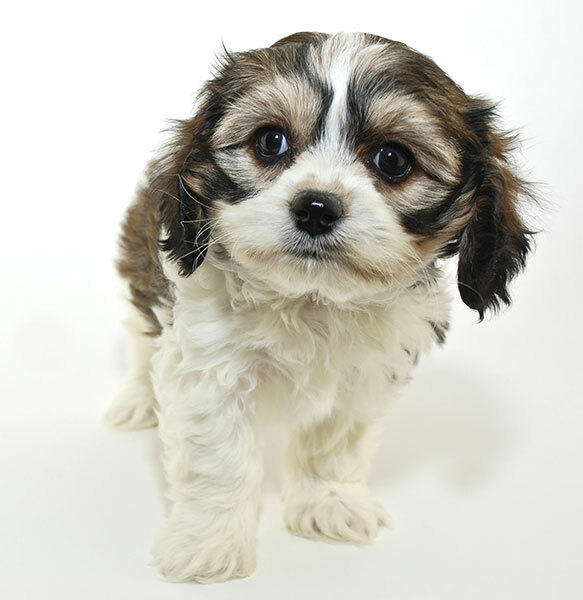 Living from 10 to 17 years old, the Cavachon has a life expectancy longer than the average dog of its size. The Cavachon likely originated in Virginia in the late 1990s.